It’s no surprise that you could create a gorgeous card from just bits and scraps leftover on your desk. Beautifully done, Narelle! Great looking Scrappy Card (what I used to call the cards I made from the scraps on my desk! This is gorgeous!! I LOVE all the white space and your layers of tiny bits is stunning! Very nicely put together card, Narelle! I love it! Wow! Gorgeous card Narelle! I think I need to come over and play in the bits and pieces on your desk!!! That butterfly is beautiful and the pop of purple so pretty! Definitely succeeded with that challenge! I keep bits and bobs from other projects too but after a while I get tired of looking at the pile and throw it away! Who knew I might be throwing away and entire card! I love that you challenged yourself to use those pieces and ended up with a beauty! Such a gorgeous arrangement of elements! And I LOVE those colors. 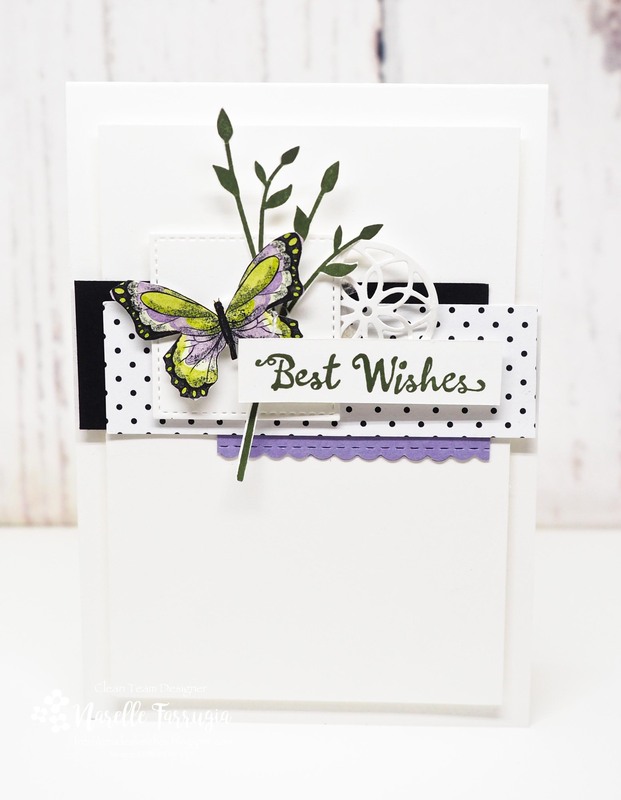 The butterfly from the paper is so pretty – and adding Mossy Meadow and black is such a rich look. Your layers of goodness are stunning! 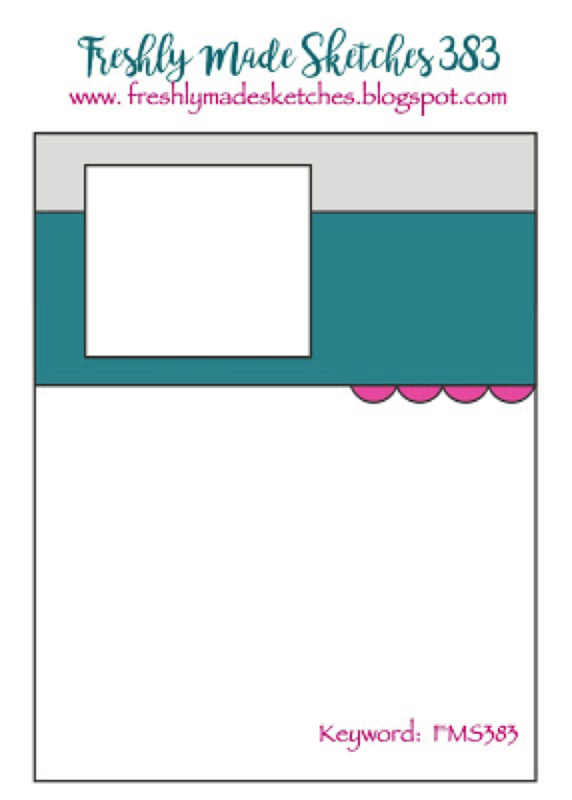 Why is it such a good feeling to use discarded bits and pieces on a project, lol? While it only took you a few minutes to do this, it looks like you spent hours! Beautiful card! Gorgeous card with a wonderful collection of layers and elements!